The Fab City concept has its herald. 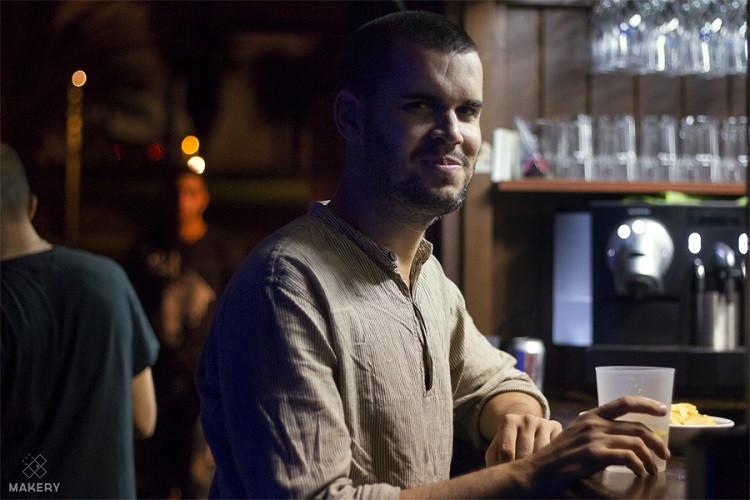 Tomás Diez, founder of the Barcelona Fablab and organiser of the FAB 10, the latest major international meeting of labs in July 2014 is adamant that “something unique is cooking in Barcelona”. 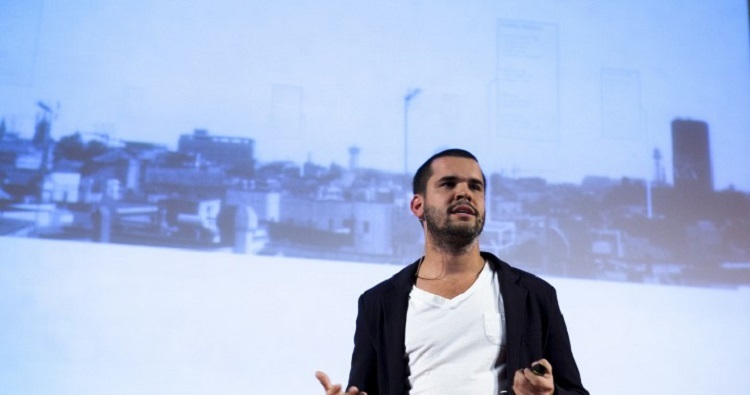 Tomás Diez, founder of the Barcelona Fablab (fablab BCN) and organiser of FAB 10, international meeting for fablabs hosted by the Catalan capital in July 2014, is an advocate of Fab Cities, concept that states that the future of cities lies in DIY. In 2012 already, this urban-planner dreamt of setting up a fablab in every district of Barcelona. The idea was supported by the city council and was intended to spread to all the large cities. Private and public fablabs—the Ateneus de Fabricació—cement the digital ambition of the city, serving as proximity workshops to meet inhabitants’ digital fabrication needs. Tomás Diez is in no doubt that the Fab City is an economic reality in the service of social progress. We met him during a lightning visit to Paris. Four years after its launch, where does the Fab City concept stand? The idea of building a Fab City arose during the FAB 7 in Lima in 2011. At the time, the government of Barcelona had just been elected and a part of the team had followed us to Lima, including Toni Vives, the deputy mayor of Barcelona. With them, we presented the concept of the Fab City, i.e. a city where citizens could have access to a new array of infrastructures, including public fablabs with close ties to private initiatives. 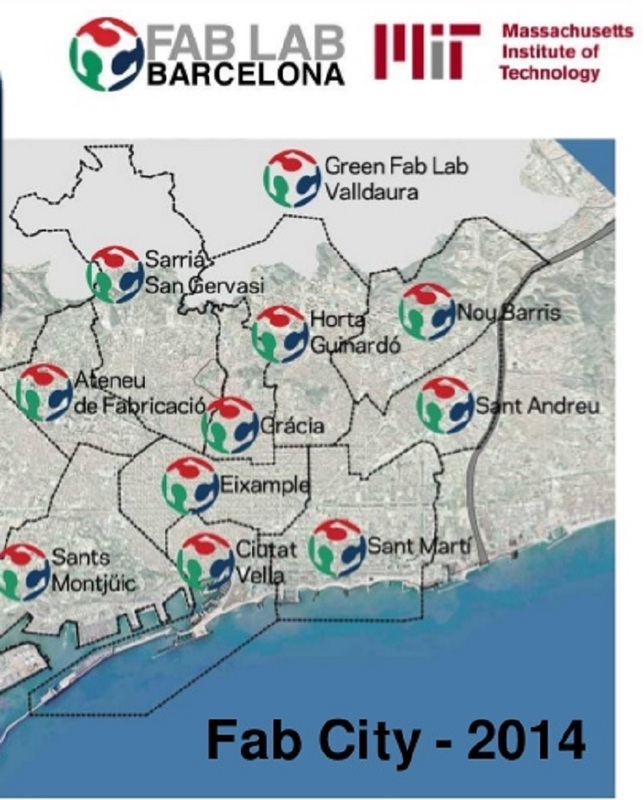 We had imagined there would be a fablab for each of the 10 districts of Barcelona. Even though some people thought we were mad—we had just presented a map with locations, nothing else—, the truth is today, four or five public and private fablabs are already operational, and others are already under construction. Why is Barcelona relying on the Fab City? And what are public fablabs? Barcelona wants to become the prototyping capital: it is even an official initiative launched by the city council last week. The ecosystem that is being built comes from private and public initiatives around the use of digital fabrication in different sectors. This is why the city council of Barcelona supported the creation of the Ateneus de Fabricació, public service fablabs that are included in the political strategy of Smart Cities. Today, let’s say that there are real fablabs like ours, makerspaces and fabcafes, but also labs of large companies such as HP, the 3D Printing division of which has its global headquarters in Barcelona. When you speak of private initiatives, do you therefore include company fablabs, not just independent fablabs? Absolutely. Large companies as well as small start-ups. For example, one or two shops selling 3D printers also offer free access to services where you can scan and print you files. In a tourist city like Barcelona, it makes sense… Consequently, a whole ecosystem emerges around the Fab City project. This is why we are supposed to receive substantial support from the government. Why supposed to? Has the expected support not arrived? It’s quite weird in fact. It is difficult to make public authorities understand that we do not want to bureaucratise fablabs. It isn’t about incorporating fablabs into governmental structures, but rather about hacking them. The city of Barcelona is however making big efforts, among other things with the STEM (Science, Technology, Engineering and Maths), a teaching concept in the classroom based on new technologies (learning by doing) in secondary education. Imagine all these initiatives coming from the public and private sectors, companies, education… Something unique is cooking in Barcelona. Following up on the culinary metaphor, don’t you thing a kitchen expects a chef? What can you say on the manner in which these initiatives are coordinated? The fablab BCN (Barcelona) works in coordination with the Fab Academy and on the development of the fablab.io platform. It is not about control, but about conservation around the values and the essence of fablabs. When you talk about interpretation, what grid do you use to determine if an initiative can be marked as a fablab? Do you base yourself solely on the Fabfoundation chart? It’s a mixture. When you set up a fablab, you agree with the chart and its principles, you have a list of equipment and materials that are comparable and offer coherence to the network. You have events you can attend such as Fabconferences, the Boston Fabconference this year, then the Shenzhen Fabconference in China the following year. I am not mandated to say it or do it, but in my opinion, each fablab that opens needs to be certified and be part of the Fabfoundation. In order to avoid Toyota buying machines and claiming “we are a fablab”. The main issues are, on the one hand, the knowledge and use of the machines, and on the other and, the connection between yourselves and the network. It is about values that guarantee that a fablab is not set up to satisfy an interest that is too specific or strictly personal, but to allow the community and the network to benefit from it. In France, numerous fablabs have taken a very entrepreneurial direction. Others are not necessarily open to the general public, especially those of techno-industrial groups. In your opinion, is a fablab open to a small number of people still a fablab? To put it clearly, access to the public and open access do not necessarily mean free access. People invest to buy machines, pay rent, wages, so they inevitably need to generate revenue. If it is a public fablab, such as the Ateneus Fabs of Barcelona, it is possible not to charge a fee to have access to the machines, bought with taxpayer money, but in this case, you charge for consumables, for example. Some people, like Haakon (editor’s note: Haakon Karlsen Jr, « historic » figure of the MIT fablab Norway), campaign for the everything-for-free. Of course, in Norway, you have one of the highest GDPs in the world and money is literally pumped out of the depths of the earth. Over there, there are maybe less financial constraints to get equipped and buy machines. But certain private initiatives, subscribing to all the values of fablabs, simply say: “I need money to survive.” This should be compatible with entrepreneurial initiatives. Hence the recurrent question: what is the best economic model to make a fablab durable? The answer largely depends on the context in which the fablab is set up. Fablabs are in orbit around three main values illustrated by their logo: green, blue and red. Green is for the commercial model and the economy, blue for the social impact and durability, and finally red for research and education. The three approaches can generate money, according to different means. A fablab as such is not an end in itself. Around them, they must generate solutions, projects with impact and educational programs that help to make them durable. The ultimate goal is not the success of fablabs, but the success of the initiatives they impel. Otherwise, it would be ridiculous. I do not agree with building a new religion. I think the success of fablabs will be reached on the day they disappear because everybody will have had access to fabrication. Today, a large part of our business is education and I think we have a long road ahead of us that will take between 5 and 10 years, but at the end of which it will most likely become our main driving force. The second strong orientation of the economic model will be the innovation of products and the incubation of companies, as accelerators. I think we are still at an early stage. For the moment, we are still operating in a rather select club, but a club that is opening to become an influential organisation in the different communities and in the cities. The network of fablabs is intensifying in Latin America. Will new models emerge from over there? I am Venezuelan and since I come from Latin America, I was responsible for coordinating the organisation of FAB 7 in Lima, in cooperation with Spain. At the end of FAB 7, an important network was formed, not just in Lima but throughout the whole continent. When you set up a fablab in the Netherlands, in France or Spain, for example, there can sometimes be a sort of auto-satisfaction. But when you live in a context where you need to meet real needs, it becomes more meaningful. The impact of fablabs in Africa or in Latin America is obviously not the same as in Europe or the United-States. There is also an element of cultural factor. In Europe, we are living in societies where we do not necessarily worry about the way we will resolve a problem or repair such or such item since we easily resort to consumption or to public funding. In Latin America, public funding is scarce, companies rip you off, therefore you can only resolve your problems with what you have at hand. The difference of approach is enormous. For many years, especially with the development of microcredits, people have been building their own houses in the favelas, they recycle, they invent their own technology. It’s a substantial know-how, a way of living in DIY mode that has been around for decades. In a recent report in São Paolo, we noticed that people had indeed a very pragmatic approach of DIY. Don’t you think that fablabs risk rupture, between an intellectual perception of fabrication and a down-to-earth experience in response to, sometimes, elementary needs? This critical approach is necessary. In Latin America, clearly, one cannot speak of a “hobby”. You have such or such DIY skills and you enhance them thanks to digital technologies. When you set up a fablab in Rio or Caracas, people come to meet a specific need or to acquire new skills that they will often use for something totally different. It’s a state of mind. I can be able to build a wall, but once I am able to create the digital design and produce it, nothing keeps me from building the wall but also making a chair and everything that fits in the house. What do you expect from the FAB 11 that will be held in Boston next August after having organised the Barcelona FAB 10? The FAB 10 adventure created a freedom space where people could connect with a network. Our success was to gather these people who had a common interest despite very different profiles: geeks, makers, economists, world bank representatives, elected members of the Barcelona city council managed to forge lots of synergies in a week. Today, ideas instigated during the FAB 10 are under development, such as the amazing fablab Amazon, a floating fablab sailing on the river. With the FAB 10, we opened the fablab network to the world. Whereas the previous editions of the Fabconference, much less dynamic, looked more like symposiums. What I expect from FAB 11… Let’s say that in Barcelona, we closed a 10 year cycle, a phase corresponding to the development and the maturity of fablabs, that is starting to affect cities through the concept of Fab Cities. It was somewhat magical to close that cycle, organising the FAB 10, initiating Fab City Barcelona, one of the most important cities with regards to urban design and architectural creation. FAB 11 will be the starting point of a new cycle that will last maybe 90 years if one wants to reason over a century. We come back home, at MIT, where it all started, in order to go back to the roots of the fundamental principles of digital fabrication and to lead fablabs towards a new technological stage of their evolution.